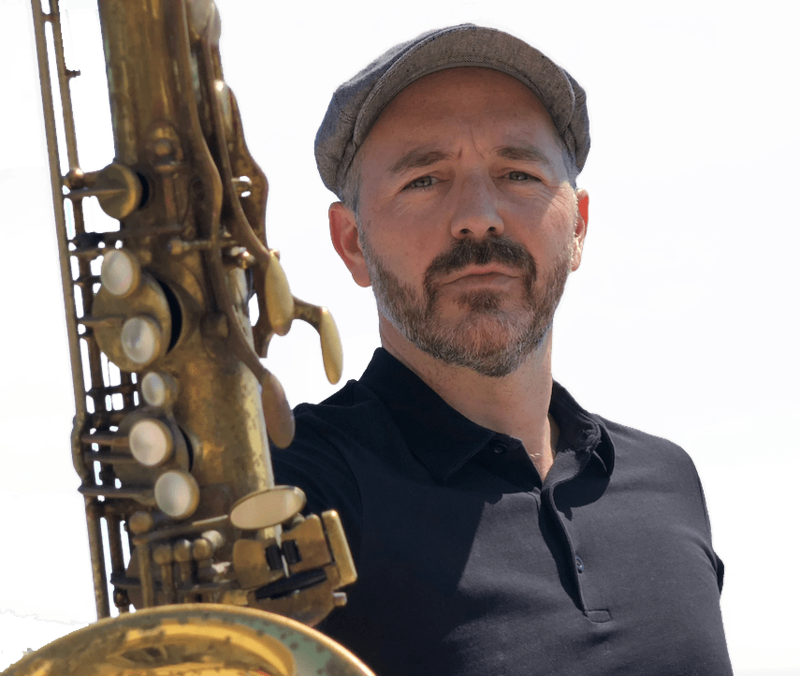 is a professional saxophonist who has performed and recorded with some world renowned musicians including Booker T, Graham Nash, Madeleine Peyroux, Larry Klein, Ashford & Simpson, Huey Lewis, Ben Taylor, Chuck D and others. As the founder of BetterSax.com his mission is to help developing saxophone players break away from traditional music learning methods and discover a more efficient, practical and fun way to become a Better Sax player. He holds a BA in saxophone performance from the Crane School of Music and a MA in jazz performance from the Aaron Copeland School of Music in New York. My name is Jay Metcalf and the saxophone has been a major part of my life from the age of 10. I started out in the school band. Perhaps like many of you, I played in the band and kind of enjoyed it, but the music we played was really boring to me, and wasn’t at all the sort of music I listened to. We learned how to read the notes on the pages of sheet music, but lots of kids lost interest along the way and gave up. Because of my intense love of music I continued and took every opportunity to play any kind of music I could, but all along the way, I was always given sheet music for classical music that was complex and sounded a bit weird sometimes when I practiced my part on my own. Half the time I was supposed to be counting rests! Throughout my teenage years, I was into rock and roll music like most of us are, and at some point I developed a love for the Blues and Soul music. My school had a jazz band, which was a bit more fun, but it was the same old story of reading complicated sheet music for songs I’d never heard before, and having to understand really complex chord symbols and rhythms in order to play solos. In any case, the music never sounded anything like what I listened to on my own, and what I imagined myself playing. I went to a prestigious music school after high school, but the program focused on classical music and modern jazz. I spent countless hours practicing very complex styles of music but still didn’t know how to play the music I listened to most. How could this be? I wanted to jam with my non-music major friends who played rock and popular music in the local bars, but when I got on stage with them, everything I played sounded wrong. I eventually found my way as a saxophone player and musician. Over the past 20 years, I have been performing professionally all over the world in just about every musical style you can imagine. All along the way, I’ve been teaching, learning, and expanding my understanding of music and how it really works. A few years ago while on tour, I came up with an idea about how to simplify the approach to learning to play the saxophone. This idea bounced around in my head for a while and was gradually molded into the Pentatonic Foundation Course. My program is all about how to solve the most common problem that most saxophone players have. At the moment, if you want to learn the saxophone you have a choice between the Jazz method, and the Classical method. I want to fill in the gap and teach the information that has been the most useful in my saxophone playing career and was never taught to me in music school. That’s right, with all honesty I can say that 90% of what I play is stuff I learned outside of classical and jazz music school and method books. I want to show saxophone players the things they need to learn in order to play popular styles of music without having to read music. In fact, I have found in my teaching that reading sheet music actually slows students down tremendously. When I started implementing the concepts and exercises from the Pentatonic Foundation Course with my students, they were amazed at what they could do and how much faster they could get a grasp on new material.